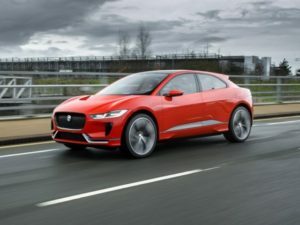 Jaguar Land Rover has no plans to stop using petrol and diesel engines in the near future, chief executive officer, Ralf Speth, has said, suggesting infrastructure had to be improved to support the growing market for electric vehicles. Jaguar’s first electric vehicle launches next year. Speaking at an event in London today, Speth criticised the lack of clarity surrounding how DEFRA’s recent announcement that “conventional petrol and diesel” vehicles would be banned from sale as of 2040 would be delivered. The criticism comes as JLR confirmed it will be offering a range plug-in hybrid and electric vehicles in the near future, an announcement which also signals the end of the diesel-hybrid technology which had been used in the Range Rover and Range Rover Sport until recently. Jaguar will get the first plug-in vehicle, the I-Pace electric SUV, next year. For the near future, it seems the bulk of JLR’s CO2 reductions will come from rolling out “mild hybrid” technology across the range. This uses compact electric motor and battery which can capture energy while decelerating and use it to assist the petrol or diesel engine when needed, saving fuel. However, it does not enable fully-electric driving, unlike a full hybrid. Despite press reports this morning, there are no plans for the company to only offer electric vehicles from 2020. Mild hybrids are likely to be commonplace by 2020, as manufacturers move towards the EU’s 95g/km range-wide average CO2 emissions target.